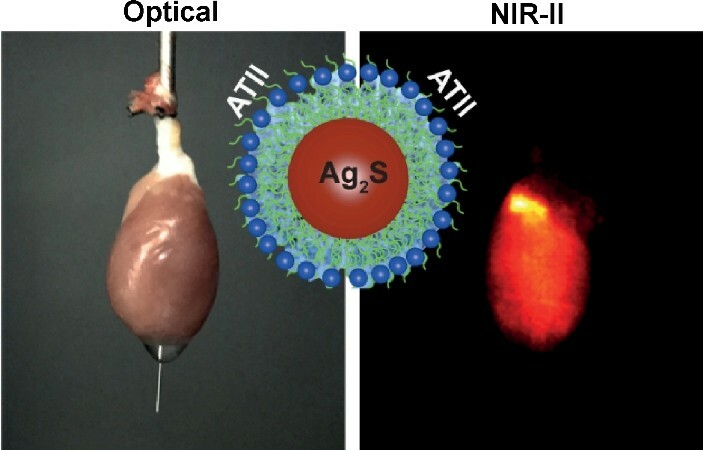 Ag2S nanodots have already been demonstrated as promising near-infrared (NIR-II, 1.0–1.45 μm) emitting nanoprobes with low toxicity, high penetration and high resolution for in vivo imaging of, for example, tumors and vasculature. In this work, we have systematically investigated the potential application of functionalized Ag2S nanodots for accurate imaging of damaged myocardium tissues after a myocardial infarction induced by either partial or global ischemia. Ag2S nanodots surface-functionalized with the angiotensin II peptide (ATII) have shown over 10-fold enhanced binding efficiency to damaged tissues than non-specifically (PEG) functionalized Ag2S nanodots due to their interaction with the upregulated angiotensin II receptor type I (AT1R). It is demonstrated how the NIR-II images generated by ATII-functionalized Ag2S nanodots contain valuable information about the location and extension of damaged tissue in the myocardium allowing for a proper identification of the occluded artery as well as an indirect evaluation of the damage level. 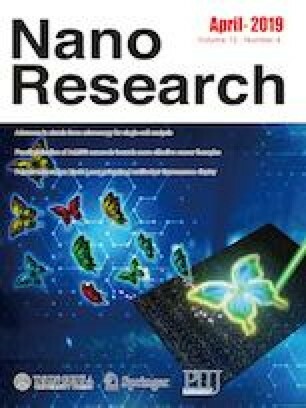 The potential application of Ag2S nanodots in the near future for in vivo imaging of myocardial infarction was also corroborated by performing proof of concept whole body imaging experiments. Supplementary material (360° videos of the imaged infarcted hearts and other information) is available in the online version of this article at https://doi.org/10.1007/s12274-019-2280-4. This work was partially supported by the Ministerio de Economía y Competitividad de España (MAT2016-75362-C3-1-R) and (MAT2017-83111R), by the Instituto de Salud Carlos III (PI16/ 00812), by the Comunidad Autónoma de Madrid (B2017/BMD-3867RENIMCM), and co-financed by the European Structural and investment fond. Additional funding was provided by the European Commission Horizon 2020 project NanoTBTech, the Fundación para la Investigación Biomédica del Hospital Universitario Ramón y Cajal project IMP18_38 (2018/0265), and also by COST action CM1403. D. H. O. is grateful to the Instituto de Salud Carlos III for a Sara Borrell scholarship (No. CD17/00210).